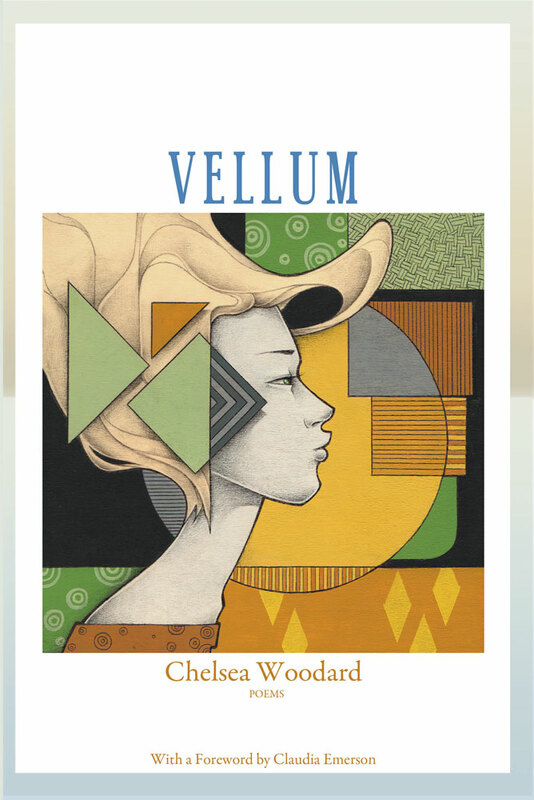 Chelsea Woodard’s Vellum, a finalist for the 2013 Able Muse Book Award, propels the reader along new paths of discovery in the quotidian as in the mythical. Its scope is far-ranging: a flower press received as a gift in childhood, Tarot reading with a favorite aunt, unexpected reflections at a tattoo parlor, reminiscing about an old flame, the discovery of rare volumes at the local library, or auctioning off old toys on eBay. Woodward’s insights and sensibilities in the visual and performing arts are deftly realized in fine or broad strokes—as in “Coppélia,” “The Painter and the Color-blind,” “Degas’s Nudes,” or as in “Still Life,” which muses that “It’s difficult/ to give back life/ to what’s been cut off from the living.” Stories and scenes represented in popular artwork are reimagined in ekphrastics such as “Self Portrait as the Allegory of Painting.” With excursions into the surreal, myth is made, lived or remade, as in “Philomela,” “Pegasus” and “The Feral Child.” This is an exquisite debut collection that rewards the mind and senses with its formal impetus and deft musicality, its precise and lively language, its emotional compass. In addition to her emotional maturity, part of what makes these poems memorable is Woodard’s obvious mastery of language, her flawless sentences, the surprising way those sentences function and “mean” within the lines, the lines within the forms. Not the least of the attractions of this gifted young poet’s first book is the exquisite, searing precision of her language—the obsessively exact diction; the tropes that map with such stunning accuracy the emotional contours of her narratives; the gestural, almost tactile quality of her syntax—all of these talents focused sharply on what Howard Nemerov said was the singular, most difficult achievement of poetry: “getting something right in language.” I predict for Chelsea Woodard a long and enviable career. Chelsea Woodard received her MFA from the Johns Hopkins University and her PhD from the University of North Texas. She earned a BA in Visual Arts and English from Union College. Her poems have appeared in The Threepenny Review, Southwest Review, Best New Poets, Blackbird, 32 Poems and other journals. She currently teaches in New Hampshire where she lives with her husband, Pete. 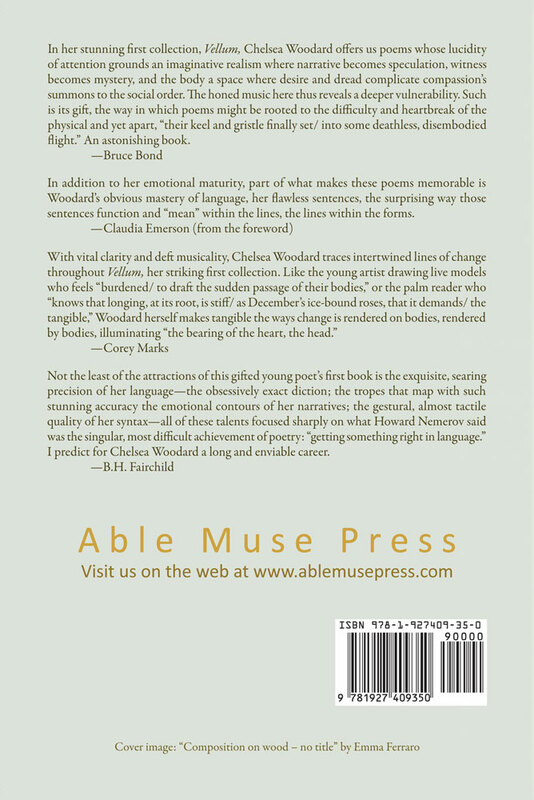 Vellum was a finalist for the 2013 Able Muse Book Award.